NEW YORK (WABC) -- New York's attorney general announced Monday his office has launched an antitrust investigation into the maker of the EpiPen. "A preliminary review by the Office of the Attorney General revealed that Mylan Pharmaceuticals may have inserted potentially anticompetitive terms into its EpiPen sales contracts with numerous local school systems," Attorney General Eric Schneiderman's office said in a news release. Mylan recently came under fire for raising the price of the live-saving drug more than 400 percent, which helps people with severe allergic reactions. Though it later announced it was launching a cheaper, generic version of the autoinjector. "Allergy sufferers have enough concerns to worry about-the availability of life-saving medical treatment should not be one of them. I will bring the full resources of my office to this critical investigation," Schneiderman said. Mylan responded to the AG's announcement, saying its EpiPen4Schools program provides free EpiPens to U.S. schools, with more than 700,000 being given out. "The program continues to adhere to all applicable laws and regulations. 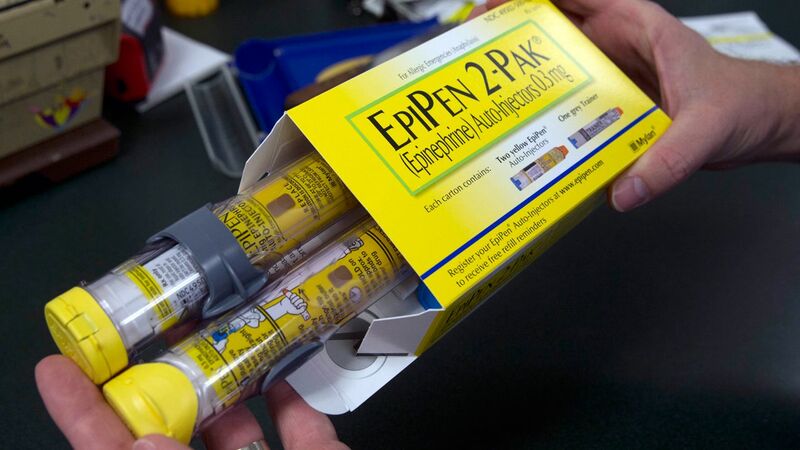 There are no purchase requirements for participation in the program, nor have there ever been to receive free EpiPen Auto-Injectors," Mylan's spokesperson said. "Previously, schools who wished to purchase EpiPen Auto-Injectors beyond those they were eligible to receive free under the program could elect to do so at a certain discount level with a limited purchase restriction, but such restriction no longer remains."